In Bart Ehrman’s seventh chapter of his book How Jesus Became God, attention is given to this subject: “Jesus as God on Earth: Early Incarnation Christologies” (pp. 247-282). Ehrman gives the lion’s share of attention in this chapter to Paul. Ehrman wishes to make the case that Paul saw Jesus as basically “an angel who became a human” (hence incarnation). From where does Ehrman get this idea? He already introduced (in the first couple of chapters) how divinity in the ancient world came in all shapes and sizes. For Jews, even if they “believed” in one supreme god (YHWH), that did not preclude belief in other kinds of divine beings (good and bad) – the pre-incarnate Jesus was one such being (in Ehrman’s estimation), one who fits what appears to be the category of an angelic being. Paul’s Jesus is An Angel? Can Ehrman work this out in Paul’s letters? His main case is made based on Galatians 4:14 – “you did not scorn or despise me [Paul], but welcomed me as an angel of God, as Christ Jesus. (Gal 4:14 NRSV). Ehrman thinks that Paul is not saying “welcomed me either as an angel or as Christ Jesus,” but Ehrman argues that the Greek grammar of the text must be read as equative – Jesus Christ, the angel of God (see 252-253). Ehrman states: “By clear implication, then, Christ is an angel” (253). The categories of “persons of sincerity” and “persons sent from God” are easy to equate because they are so general. In reading these passages, the point is not that the two “as” statements are being equated, as much as that they both explain (usually in a complementary way) the nature of one side of a contrast. Also, I question whether we can call this a pattern at all. I did some investigating on Bibleworks, and I searched the OT Pseudepigrapha, all of Josephus, all of Philo, and all of the LXX and NT and here is how many cases of this so-called “pattern” I could find: 4. Only once outside the three examples Ehrman provides (and not a relevant example from the looks of it; see Philo Mos. 2.248). Hardly this a “pattern” makes. I would like to make one other brief point – if Ehrman were correct about this pattern (which I find improbable), then it is still possible that we could translate angelos as “messenger” (see 2 Cor 12:7). Just a thought. Can Ehrman support this theory (about Paul’s Christ being an angel) with other evidence? As one might expect, Ehrman turns to Phil 2:6-11 to address what looks like an exaltation of a preexistent angelic Christ. So, this angel came to earth as a human and died on a cross. Then, on account of his obedience, he was exalted even higher than an angel to the status of the one God himself (see especially 257). OK, back to the Ehrman’s key arguments. His focus here is on two matters: harpagmos (2:6) and the super-exaltation of Jesus. Let’s start with harpagmos. This word could be understood as “rob” with the idea that Jesus, though he was in the form (morphe) of God, did not try to grasp for equality with the one God. However, most translations do not take harpagmos in this way, interpreting it more as “exploit.” Thus, equality with God was not something Jesus intended to exploit. Which interpretation is right? Here is my concern with Ehrman’s reading. What would it even look like for an angel to rob or take equality with God by force? The point of the text seems to be that Jesus was willing to change from the form of God to the form of a slave to be fully participatory in the plan of redemption from death. The key to interpreting this text seems to me to be the two uses of the language of form in 2:6-11 and Jesus changed from the “God-form” category to the “slave-form” category. If that is the focus, then Paul is not imagining a range within a category (levels of gods) just as he would not have recognized a range of human forms. What about the super-exaltation of Jesus? Does that mean he is being “promoted,” as it were, from angel to lord? Again, I think not. I take a narrative approach here – one has to see the nature of Jesus’ condescension to appreciate how “high” God must raise him to give him due honor. If he even died on a cross (undeservedly, and for the sake of the unrighteous, and in obedience to God), then it would take a super-exaltation to make a full reversal of his crucified stigma. Again, it may not convince others, but I think it doubtful that the one God would reward an angel with honors and recognitions due to the one God alone (see Isa 45:22-23). What happened to “I am God, and there is no other” (45:22)? Is Ehrman insisting that Paul thinks YHWH transfers that to Jesus? Ehrman’s only response to this is – *shrug*, didn’t seem to bother Paul and other early Christians. I cannot say I have driven the discussion (of Phil 2) forward very much, but it is clearly one of the most complex passages to interpret in the whole NT. I find it rather dubious that Ehrman dares to dip (ever so briefly) into such a complex textual discussion and expect it to come out in his favor or settle the matter. Ehrman goes on in the chapter and dives here and there into Hebrews and John and other NT texts to show how some Christians began to think in terms of incarnational Christology. Ehrman attributes to the earliest Christian writers a lot of creativity and variance. I would like to attribute to Ehrman a lot of creativity and variance! Does Ehrman get Paul right? 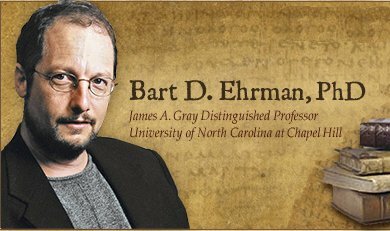 If Ehrman’s main argument is that Jesus was viewed as an angel, I doubt it. This evidence for this is far too slim and ambiguous. Perhaps my biggest concern on a general level would be that angels (in Jewish tradition) may have appeared on earth on a number of occasions, but they were never born on earth (someone stop me here if I am wrong). In Tobit, Raphael makes it clear he was never actually incarnated, he only pretended to eat and drink. But Paul would have known a Jesus who had and has a real body. Also, when angels come to earth, even if appearing human, they are eventually re-admitted to heaven and become their angelic bodies again. But Paul is quite clear that Jesus remains embodied, even as God, for eternity (Phil 3).